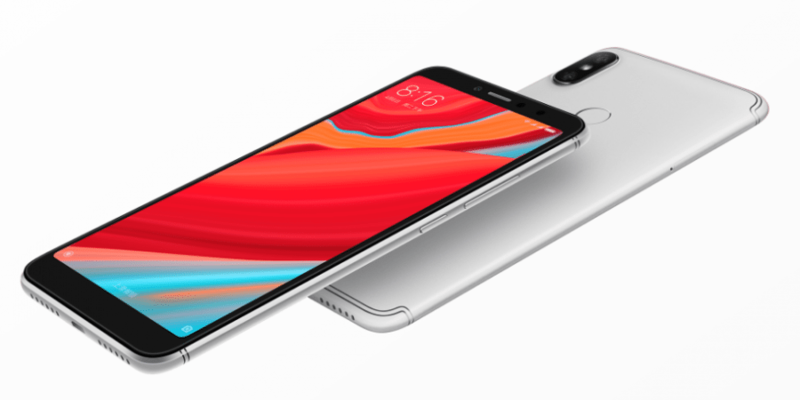 Homepage Mobile Phones Xiaomi Xiaomi Redmi Y2 announced! Xiaomi released a bunch of new stuff recently. Last week, they announced the Mi 8, their latest premium smartphone that packs in premium specs. With it, they released the newest version of MIUI, bringing in a lot of improvements and features. And now, we have the successor to the Y1 smartphone, the Redmi Y2. Let’s see what has improved here! Starting with the design, as with many budget or midrange devices, Xiaomi also opts in for a metal design. The aluminum build and metal frame have a nice feel in the hand. On the front, you’re going to find the 5.99” LCD display with 1440 x 720 resolution and 18:9 aspect ratio. Xiaomi did a lot of improvements inside MIUI 10 for tall screens, so it’s normal for them to be included in their new devices. Unfortunately, the taller screen doesn’t mean that the bezels are small. They’re still noticeable, especially on the lighter color options, but they’re nowhere near those found on standard smartphones. On the back, you will find the dual camera setup in the top corner, with the fingerprint sensor in the middle. Going over to the performance, the Redmi Y2 is clearly a midrange device by the looks of the hardware. Starting with the chipset, you’re getting the Snapdragon 625 processor. Although its older than, say, the 636 or 660, it’s still going to handle most of your tasks swiftly. With the Y2, you have two different options for memory – one with 3GB of RAM and 32GB of storage and the other with 4GB of RAM and 64GB of storage. We’d prefer the higher one, as more memory is always welcomed. Finishing the internals, the battery inside the Y2 is capped at 3080mAh. So, it should be more than enough to last you through a full day. Going over to the cameras, this device also jumps in on the dual camera train. On the back, you’re going to find the main 12MP shooter and the secondary 5MP shooter. As you’ve probably guessed, the second camera is used for the famous Portrait mode shots. The Y1 was mostly promoted for the front camera and with selfie lovers in mind. Consequently, the Y2 continues on that and adds a 16MP wide shooter with f/2.0 aperture. Xiaomi boasts on the “Super Pixel” feature, that combines four pixels into a single, large one. That should reduce photo noise, capture more light and enhance photo quality when shot in low light. Aside from that, it also packs in AI Beautify 4.0, which should improve your photos. So, if you’re a selfie or vlog fanatic and want to up your game, this might be the phone for you. Finishing with the software, the Y2 comes with Android Oreo 8.1, skinned with the company’s own MIUI skin. It packs in a lot of features, and it should be updated to the latest MIUI 10 in the upcoming month. The Redmi Y2 is available for purchase in most Asian markets, with western ones coming up in the next months. Prices start at $150 for the 3/32GB version and $193 for the 4/64GB one. So, what are your thoughts on the Redmi Y2? Share them in the comments below. Previous article Previous post: MIUI 10 – top new features! Next article Next post: The best apps to follow the FIFA World Cup 2018! What’s wrong with bezels? Personally I wish my Samsung had bezels instead of that idiotic bended edges, lack of bezels and bended edges are a design mistake for anyone who works with the S-pen. Nothing wrong with bezels, better than the new trend of useless hyped features.